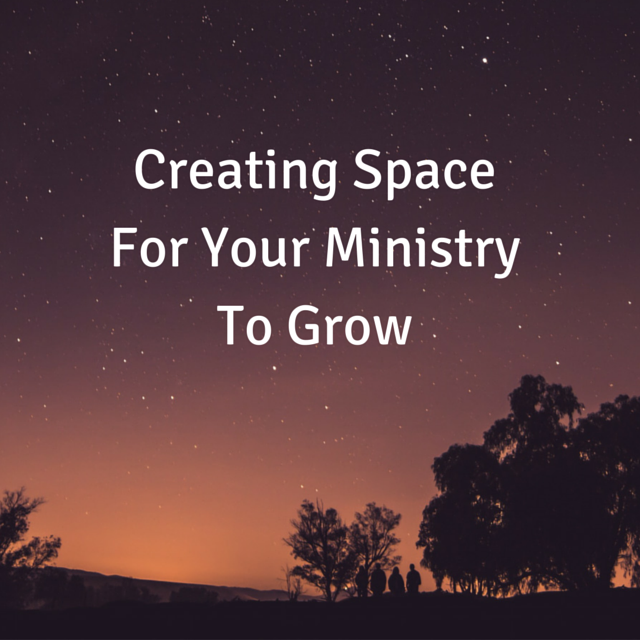 Are You Creating Space For Your Ministry To Grow? 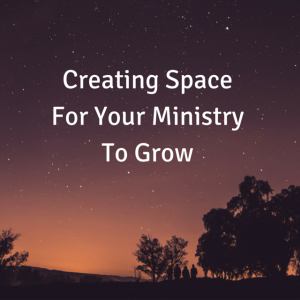 Home / Are You Creating Space For Your Ministry To Grow? I’m creating space for our ministry to grow. That’s why I’m letting all of our volunteers go. You have volunteers and you just dismissed them?! I’d kill for great volunteers! Send them to me! Cool your jets. I only let them go for three weeks. It’s been a busy summer and this is a brand new move for me. I told all our leaders I would be doing this and I had my Pastor’s approval. I want you to integrate with the rest of the body so they can see you as the fantastic people you are. I want them to see you as leaders who love learning, who know they don’t have it all figured out, people who understand that we are one body in need of each for both for our own walk with God and for the sake of the generation we serve. Some of our congregation is on Facebook and see me post pics all the time of our youth group. They have an idea and a sense of who we are but I need someone to tell the stories behind those pics. Talk about the kids you’ve helped, prayed with, talk about the growth you’ve seen in our kids and about the kids who need their prayers. Tell people your story of why you work in our youth ministry. All this story telling draws us together as a church and makes us reflect on what God has called us to do. 1. Am I doing what God has asked me to do? 3. How can I up my game to reach and disciple kids for Christ? At the end of these three weeks I’ll be meeting with all of you individually to talk, in depth, about your roles and responsibilities in the youth ministry. If during this three weeks off you feel the need to transition out of the youth ministry that’s o.k., just shoot me an email, text, or my fav, in person so I can thank you personally for your investment into these kids. If you already know that that you will be transitioning out of the youth ministry then attending the adult class is not mandatory. If you plan on sticking with us for another year, the adult classes are going to be standard showing that you value becoming the kind of volunteers our kids deserve. My guess is that our leaders are grateful for the break, in fact, some have told me they are. I work our leaders pretty hard all summer (and all year) and they deserve the rest. I want them refreshed and renewed for the new school year and I’m willing to wait on them to get fill up, healed up, and fired up from their time off. What will our group be doing in their absence? I will be teaching a three week series on prayer as well as using this time for kids to pray (intercede) for their schools, for each others, for their role in the youth ministry this year, and for the plans THEY will create to reach their friends for Christ. The space I’m creating is in the hopes that God will fill it with Himself. Where are you creating space to let God move in your ministry? You’re own life? How are you helping your volunteers to rest and renew?